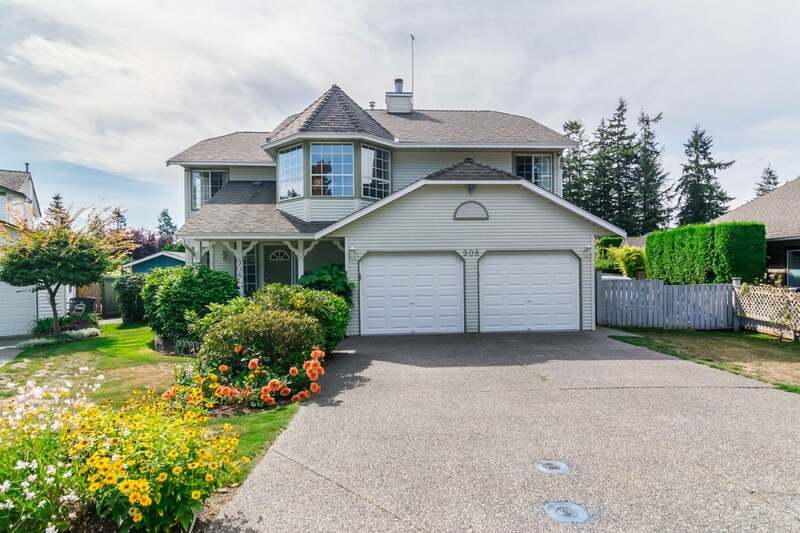 Lovely 5 bedroom home on a quiet street in desired McNally Creek. Situated on a tranquil cul-de-sac with a very private & bright southern exposed back yard. This meticulously looked after home has many, many recent upgrades including kitchen, flooring, paint & more. New fiberglass shingle roof in 2012. Furnace & hot water tank replaced in 2010. Large decks with access from all levels. There is a nice view of Mt Baker from the deck off the kitchen. RV parking. Only a short walk to South Meridian Elementary & close to the beach. Easy access to the Hwy 99 & US border. Move in ready. A wonderful place to call home! Lot Size 7309 Sq. Ft.